An Air Ambulance is an especially equipped aircraft or a helicopter, which transfers sick or injured people in a medical crisis to safe and sound place i.e. recommended hospitals. Aircrafts are often used to shift patients over extended distances and for repatriation from overseas countries these operations are known as aero medical operations. Human Care Air Ambulance Company is one of the best companies to provide air ambulance services in Sri Lanka. We are devoted to providing the bed to bed shifting of seriously ill or injured patient in reasonable charges. We give fast and best medical assistance to our clients at the time of need. Our Choppers and Aircraft are specifically designed for shifting critical patients to desired hospitals. Our fast and best deliveries have made us one of the preeminent air ambulance services in Sri Lanka. Human Care Air Ambulance Company provides finest airlifting of the critical patients all over the country and overseas as well. We serve timely and 24/7 air medical services in Sri Lanka with aircraft & choppers which are fully geared up with better-quality tools to offer high-class medical treatment and safe shifting of the critically ill and injured patients. 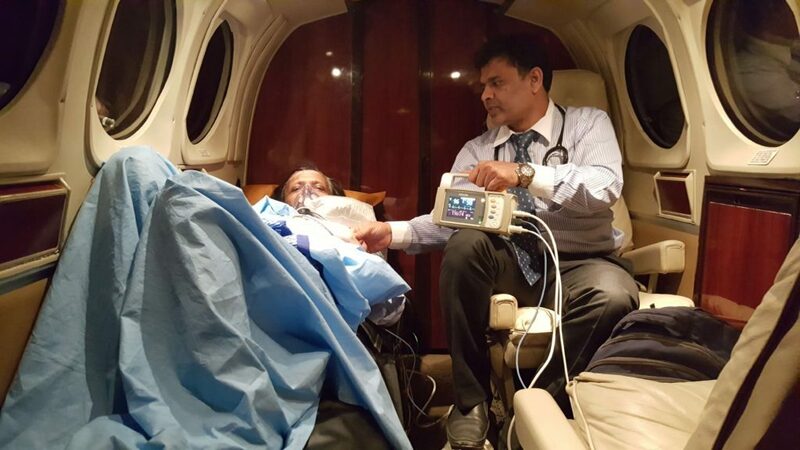 Apart from this, we have experienced doctors and nurses to provide best medical assistance during air shifting of the patients for any emergency situations. Human Care Air Ambulance Company also provides support at the airport for immediate and contented boarding. Our team is very proficient in providing medical retrieval and repatriation services to the needed persons. We do our best to increase the chance of survival of the critically ill or injured patients by delivering them medical treatment timely by our air ambulance services. Human Care Air Ambulance Company provides air ambulance services in Sri Lanka for both non-emergency and emergency conditions. Our professional team is committed to transfer critically ill or injured patient with the highest level of medical care anywhere and anytime. Human Care Air Ambulance Company also provides best air ambulance support to peoples during natural disaster cases as with our highly equipped choppers we shift patients to safe places from the affected areas. Human Care Air Ambulance Company also provides ground ambulance services for road transferring of the patient. Our ground ambulance also contains the best equipment to shift patients in local areas. We have always satisfied our clients with our best, effective and fast airlifting services. We specialize in transferring patients from and to hospitals, specialized care facilities, rehabilitation centers and private residences, through the similar intensity of care that would be anticipated from a hospital ICU. We specialize in emergency air ambulance transports, air medevac flights and air medical transportation. Human Care Air Ambulance Company’s dedicated and skilled team takes care of each and every patient as they are from their own family. Our experienced team handles and arranges each aspect connected with the transfer carefully.